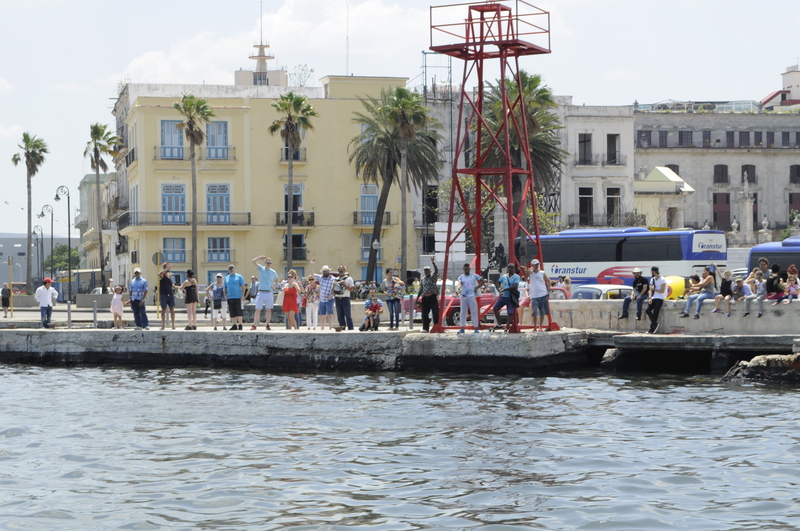 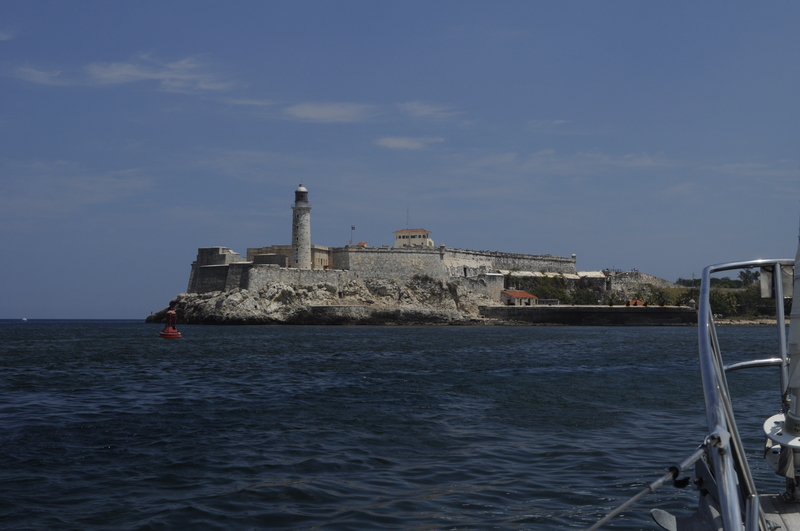 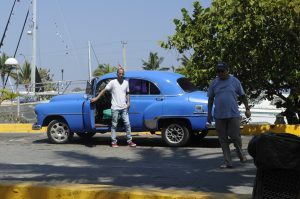 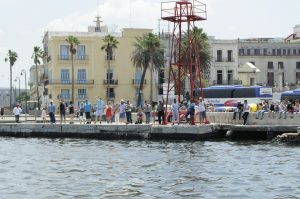 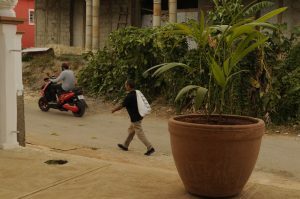 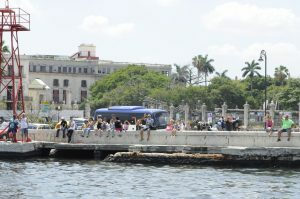 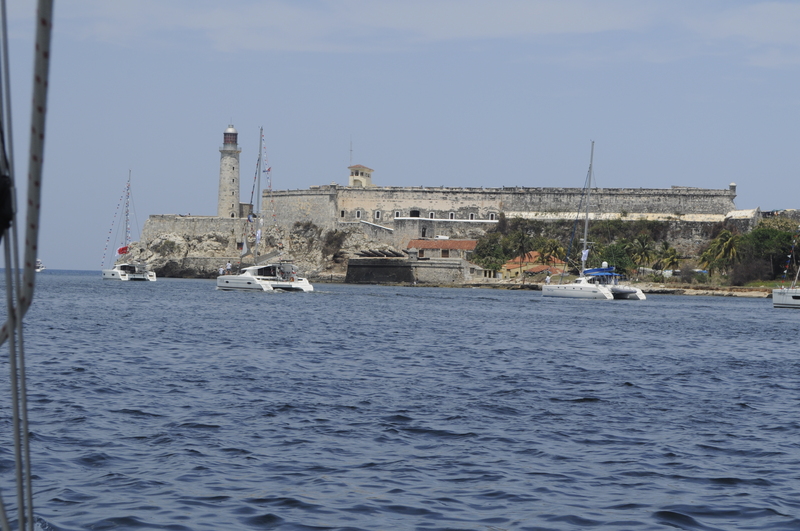 1 April 2017 – The organizers of the boat rally had arranged for a bus and walking tour of Old Havana for all of the participants. 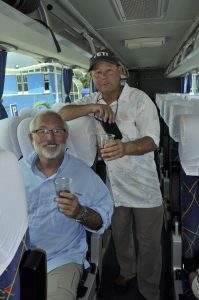 Ron and Bob took this opportunity to sip their first Cuban rums on the bus before we departed. 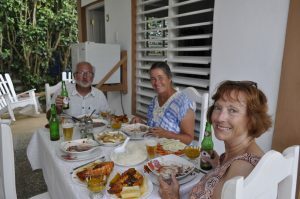 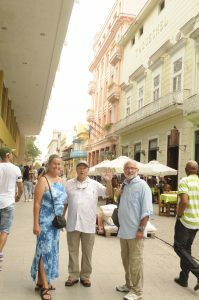 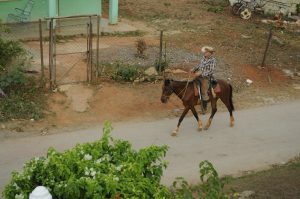 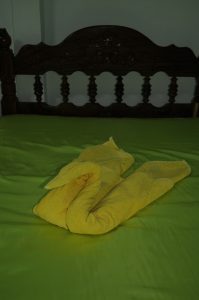 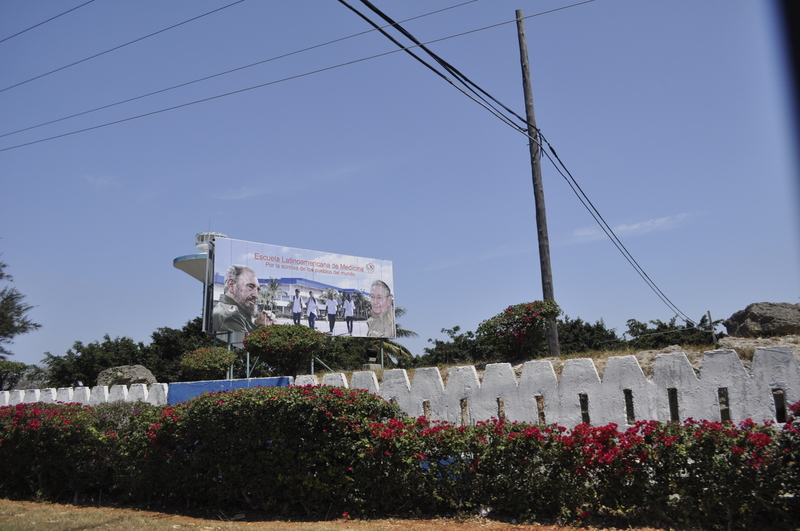 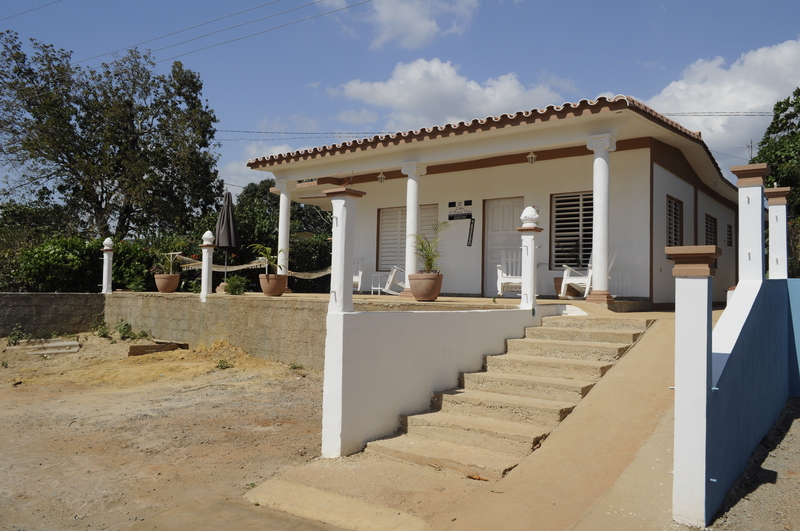 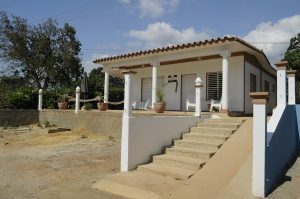 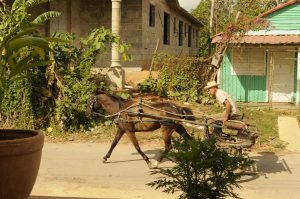 On the tours we learned much of the fascinating Cuban history which we all admitted we didn’t know much about. 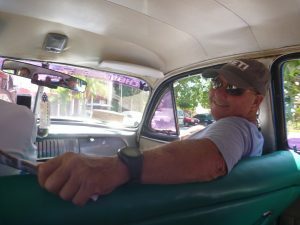 As walked the streets we got to see and hear the many sights and sounds that are found in Havana. 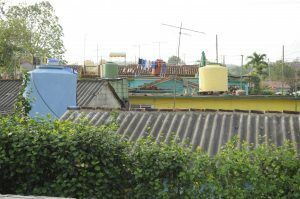 We were intrigued by the many different styles of architecture that we saw. 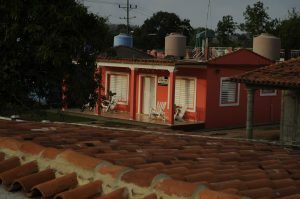 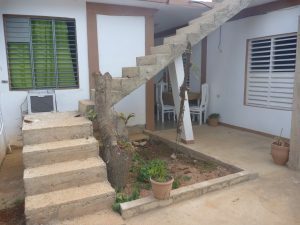 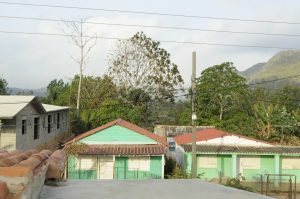 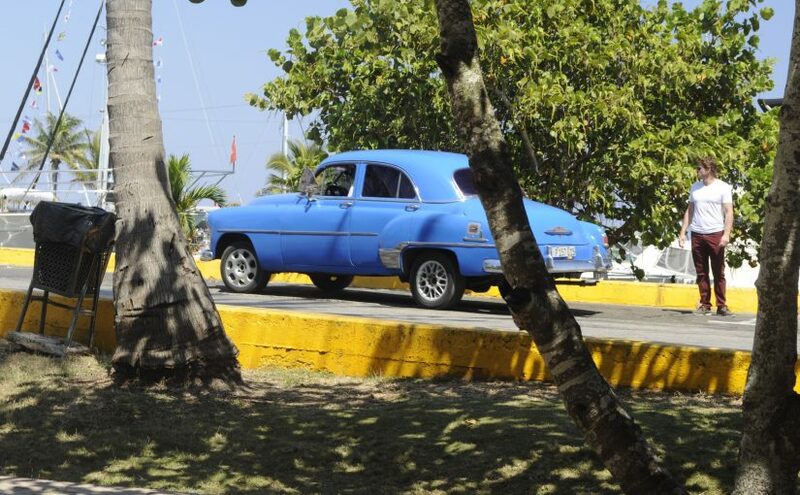 You could identify which buildings were truly historic, others built in the United States heyday of the 40’s and 50’s when the United States had very active business and trade relations with Cuba and it was a holiday destination for the USA. 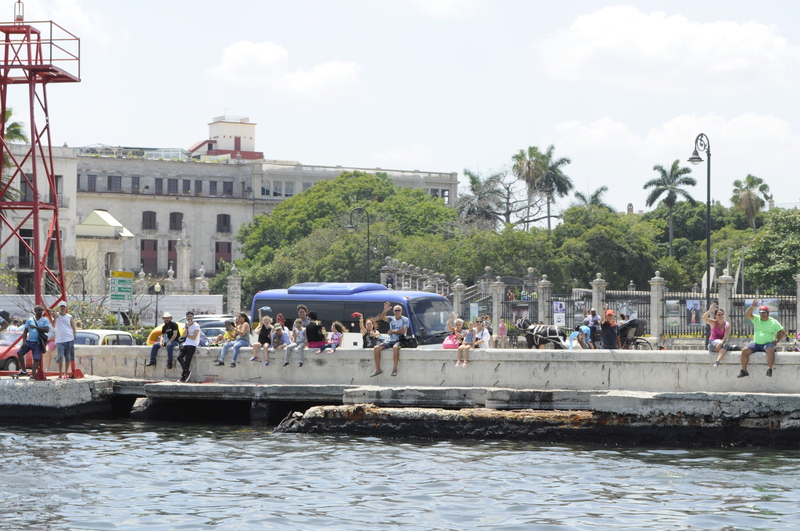 Other buildings were in stark contrast with the block style built during the Soviet era after the USA discontinued all relations with Cuba. 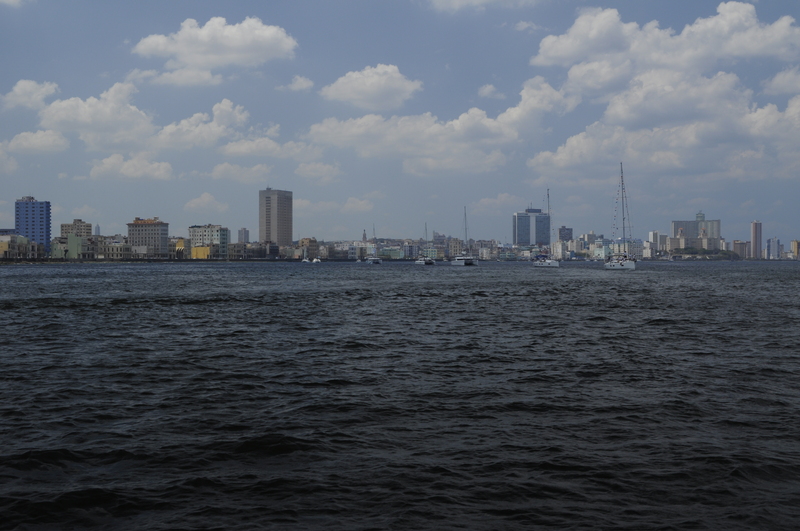 The mix of architecture, makes for an interesting skyline. 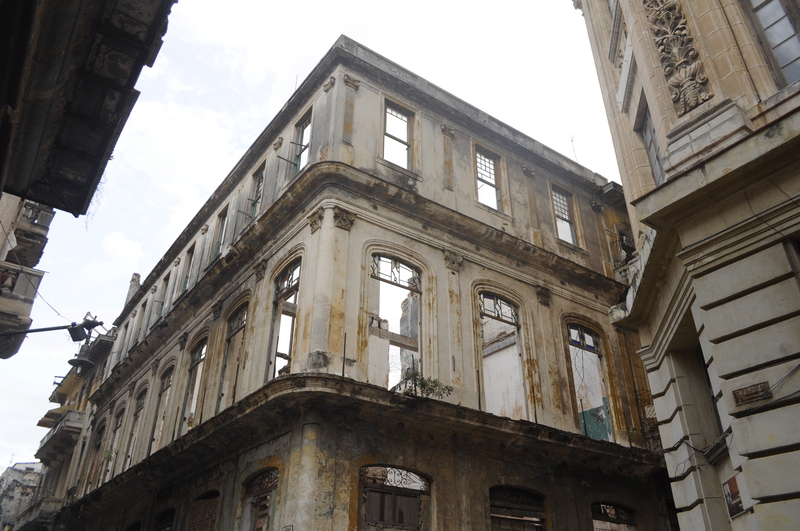 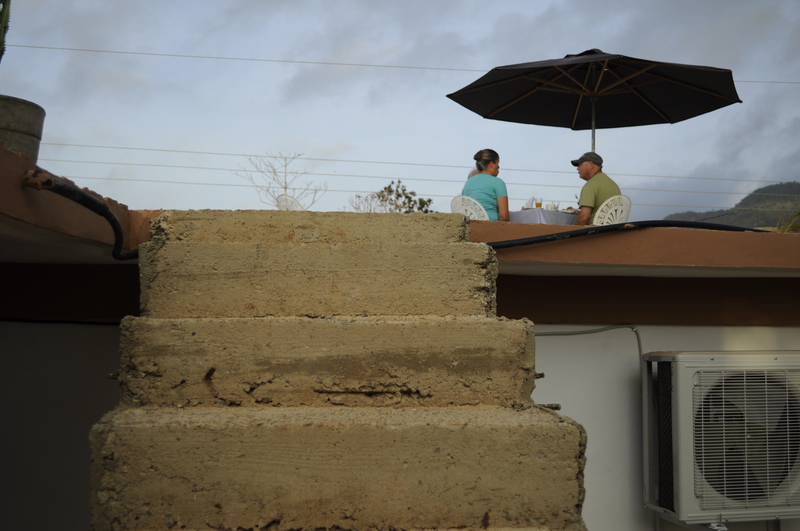 While many buildings were beautiful and intact, there were many that were under restoration, some damaged by hurricanes from years past. 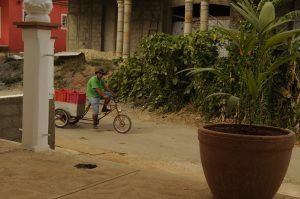 The city is full of street vendors of all kinds and if you are lucky you will see some street performers as well. 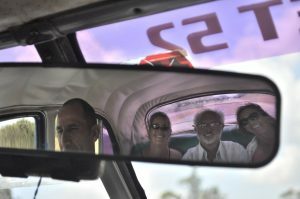 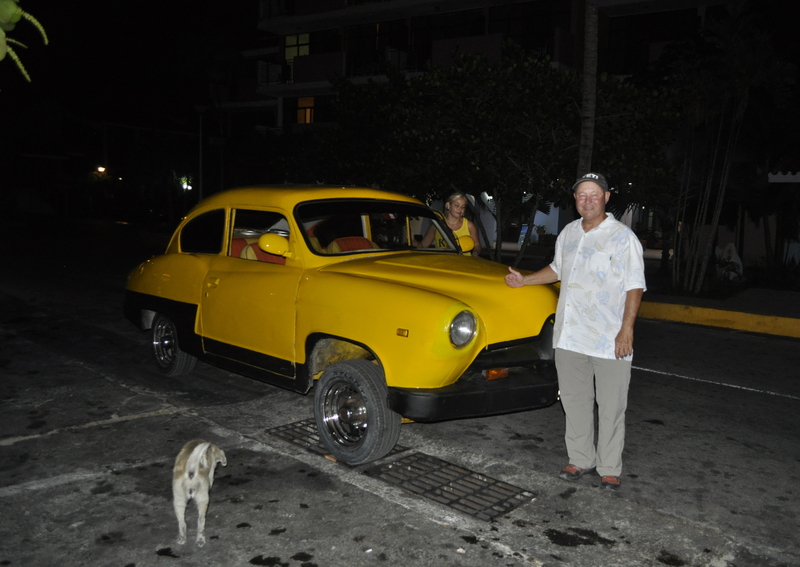 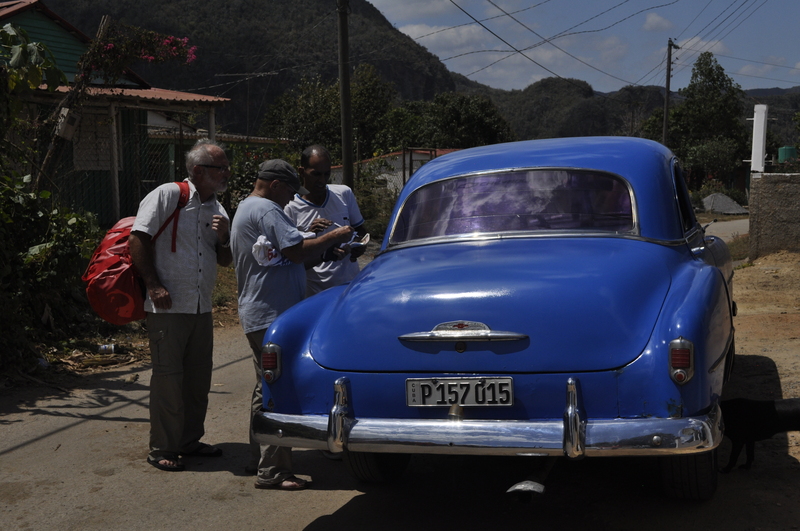 Cuba is known for its old US cars from the 1950’s and we looked forward to riding in one or two as our taxi. Our first night we found ourselves squeezed into this little 1951 Henry to get back to Marina Hemingway. 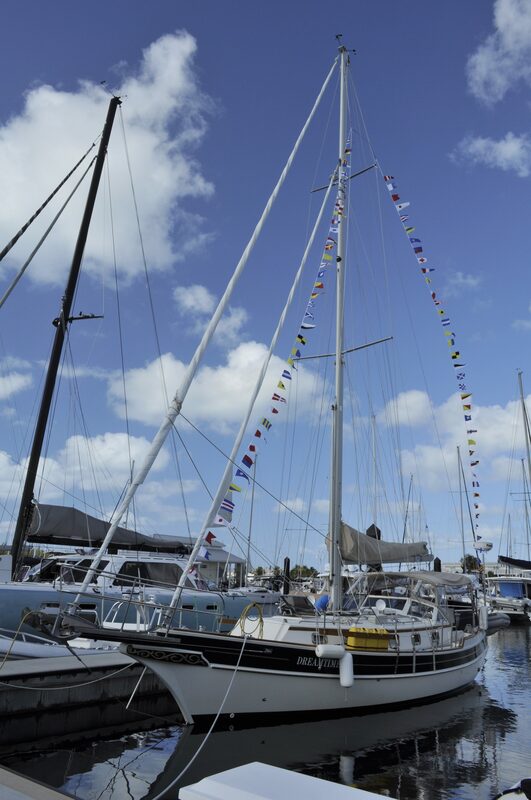 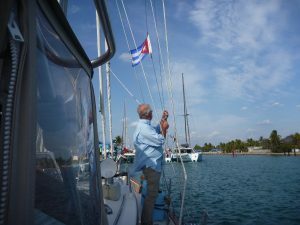 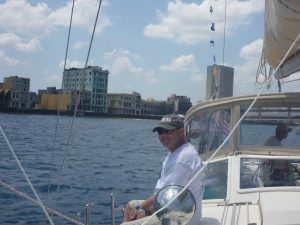 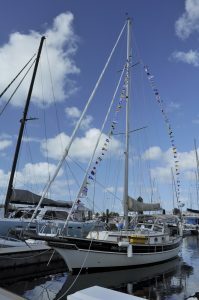 The sailing charter company, Harmony Yacht Vacations, we shared the dock with at Stock Island Marina organized a rally to Cuba in conjunction with Cruising World. 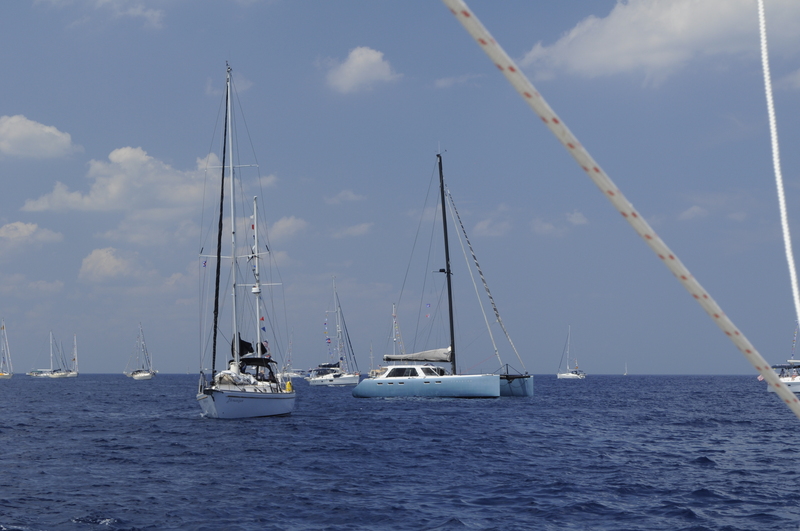 We aren’t usually joiners but this time decided we didn’t want to miss the the fun and joined the other 59 boats participating. 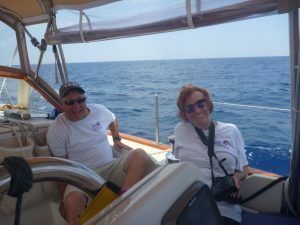 Ron and Sandy couldn’t resist the opportunity of a lifetime and flew back to Florida to join us on this week long adventure. 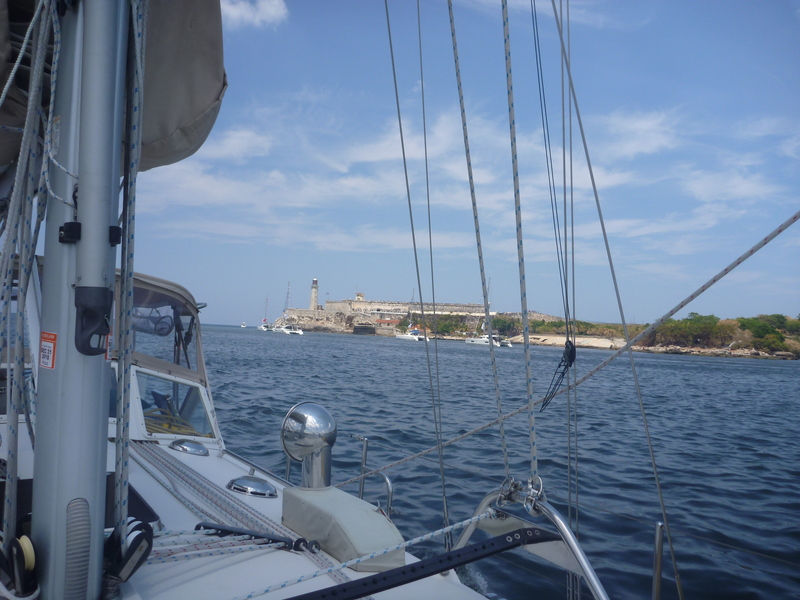 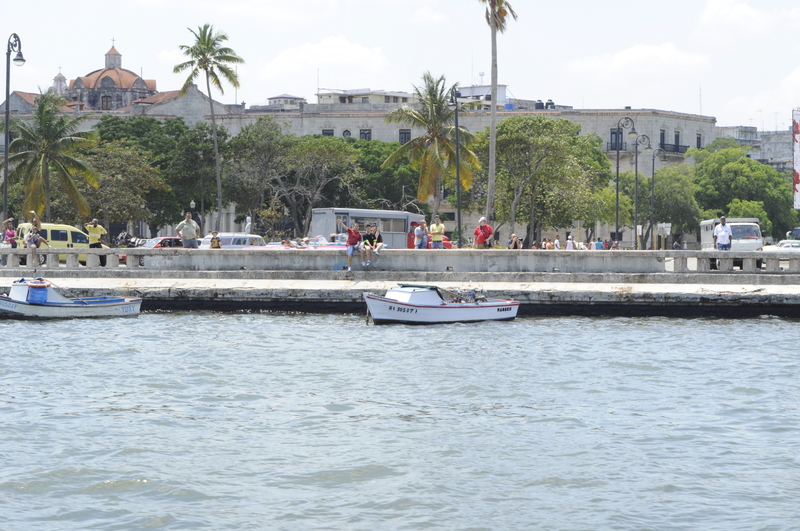 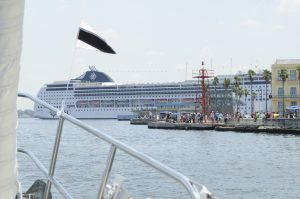 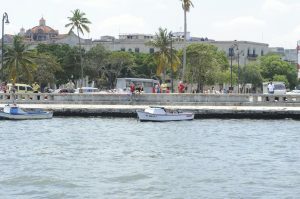 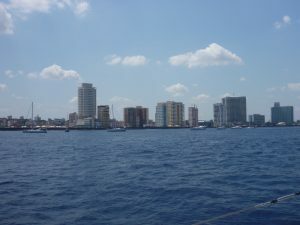 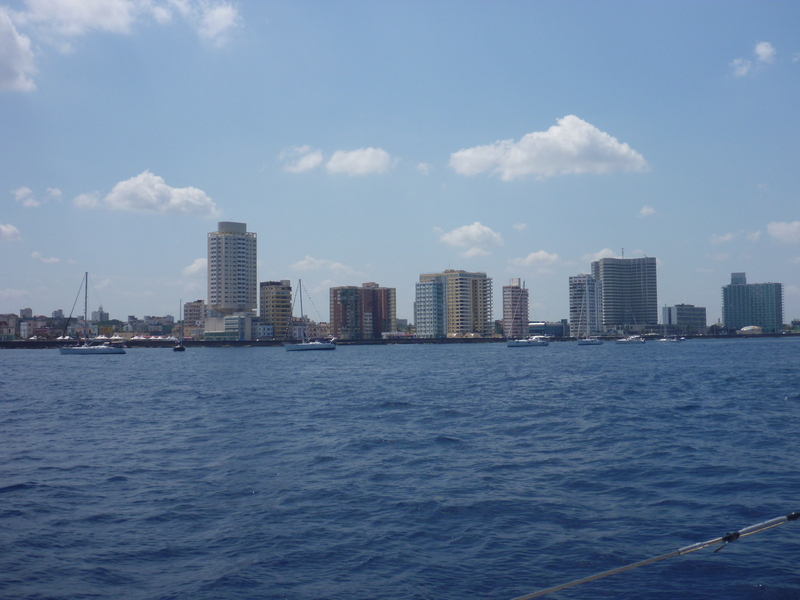 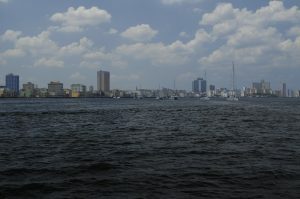 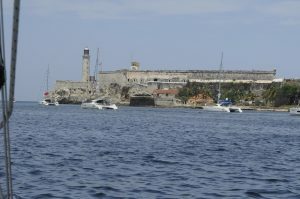 Part of the rally would include the opportunity to participate in a boat parade into Havana Harbor, where private vessels are not usually allowed. 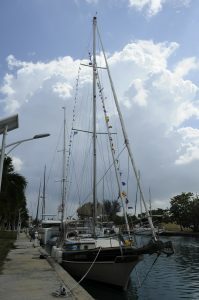 We were told this was a big deal, and were asked to dress our boats for the occasion. 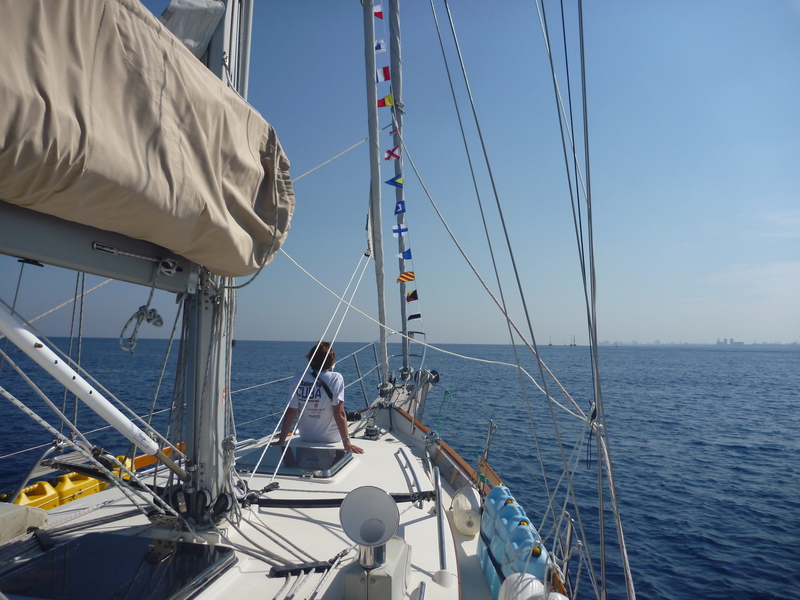 A couple of days before we left, we did a rehearsal dressing with decorative flags, just to be sure of how we wanted to do it. 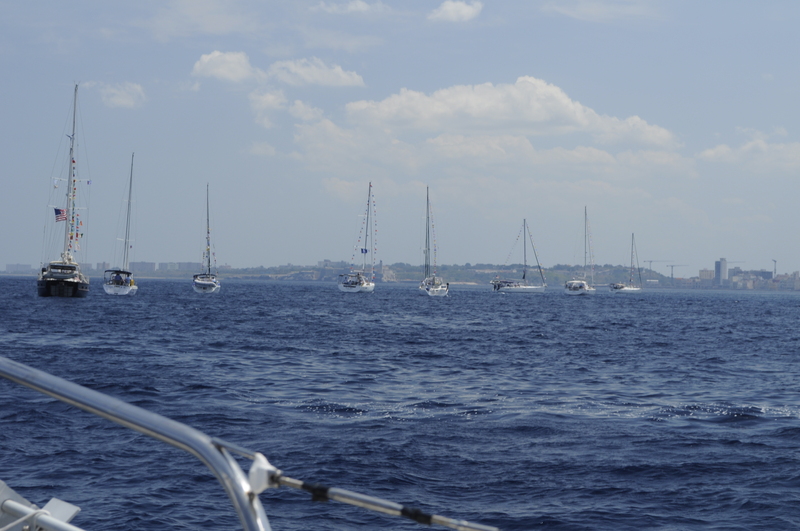 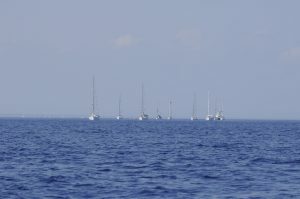 The organizers arranged to stagger the departure times depending on expected speed of sailing. 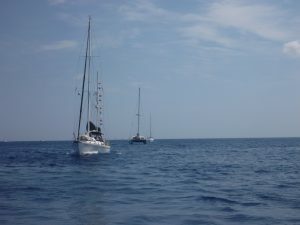 As we usually calculate our sailing speed at about 5.5 knots per hour we are considered one of the slowest boats, and are scheduled to leave at 3 pm with the first group. 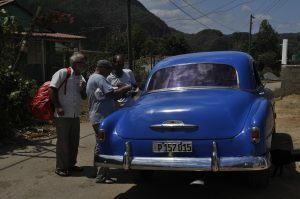 In a best case scenario we could expect to arrive in Havana by mid morning. 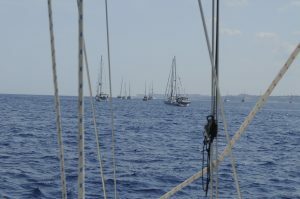 The weather forecast was for “salty sailing”, meaning windy and choppy conditions that were supposed to calm down through the night. 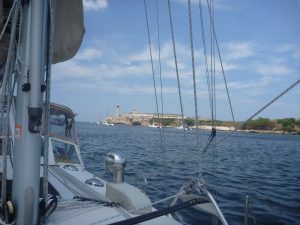 We left Stock Island in mid-afternoon, planning for an overnight passage. The winds had calmed a bit by then and we were hoping for a pleasant passage. 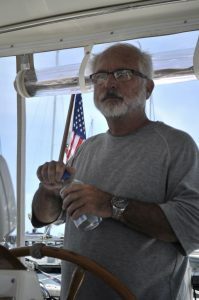 With Bob at the helm we navigated out of the channel, raised the sails and took advantage of the early wind. Unfortunately the wind was more fickle than forecast and died in the middle of the night, the seas got sloppy which made for a less than comfortable ride, and our arrival was many hours later than planned. 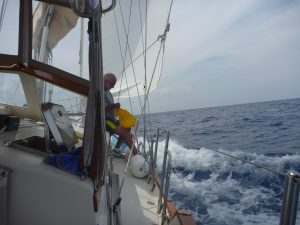 But we got there safe and in good spirits which is what matters most. 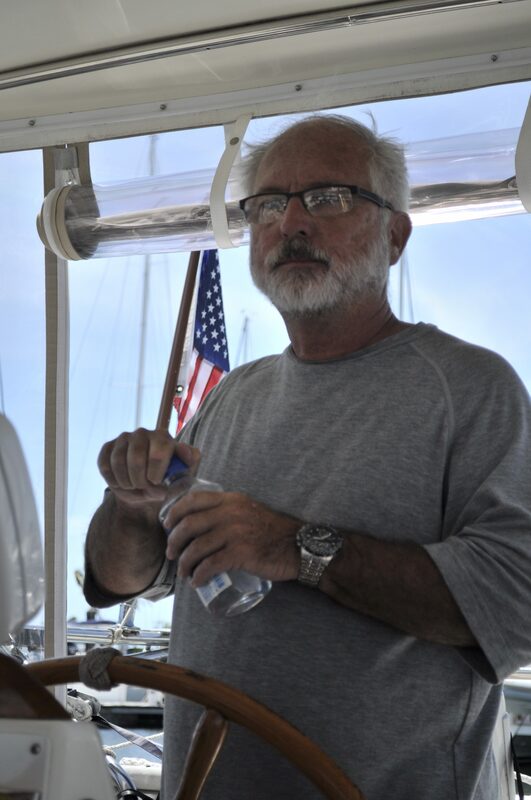 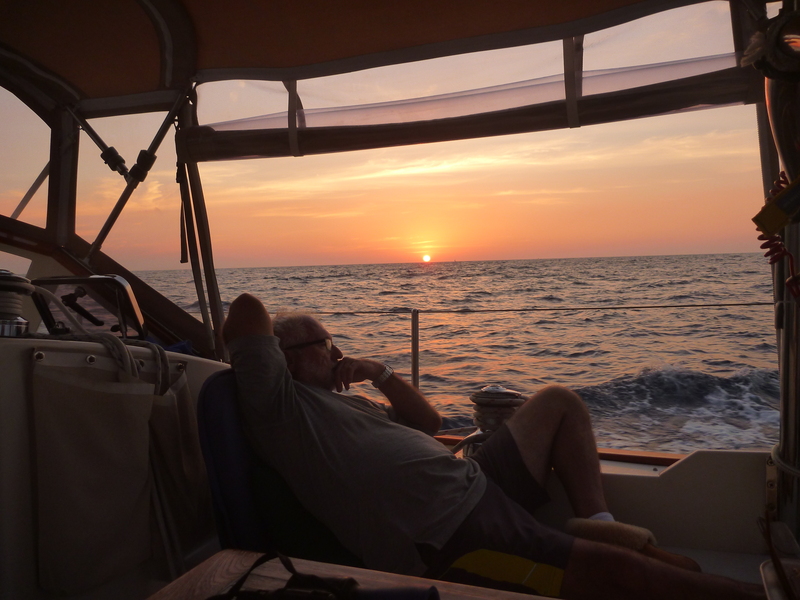 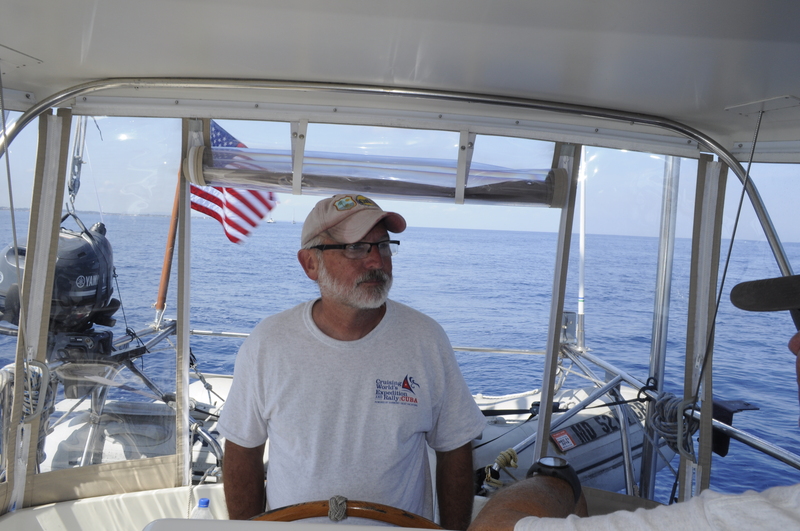 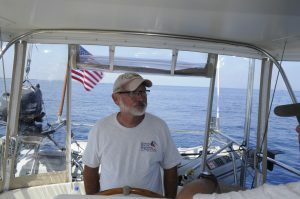 As we approached Cuban waters, Bob raised the yellow quarantine flag, signifying that we were entering from a foreign country and have not yet gone through customs. 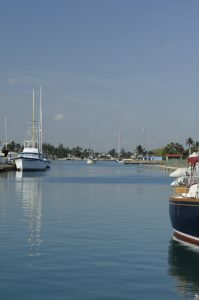 The officials at the customs dock were forewarned and prepared for the 60 boats arriving to Marina Hemingway, a very usual experience for them. 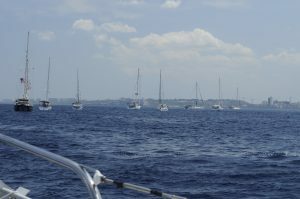 They tried to keep things moving as smoothly as possible, but still the number of boats arriving at around the same time meant we all had to wait yet another hour for our turn to enter the harbor. 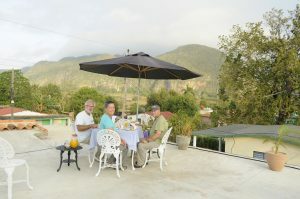 Once we were boarded and inspected by customs, Bob lowered the quarantine flat, raised the Cuban courtesy flag and we were welcomed into Cuba! After our fun at the Dolphin Research Center on Marathon we continued north to Key Largo. 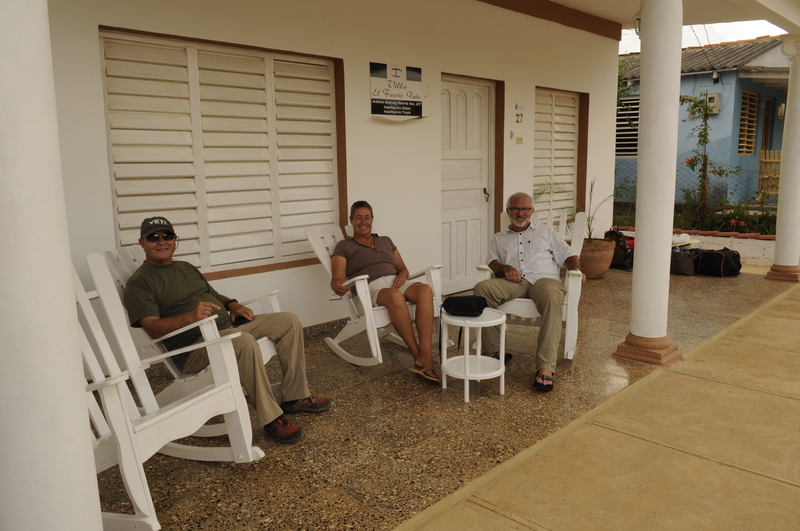 We found a hotel for the night to start the next day at John Pennekamp Coral Reef State Park. 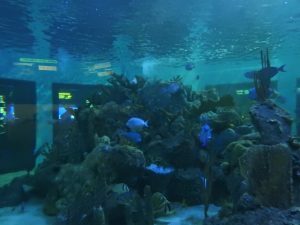 Here, we explored the on-sight aquarium, sat through what ended being a fascinating video presentation and enjoyed a 2.5 hour glass bottom boat excursion over a portion of the only living coral reef in the United States. 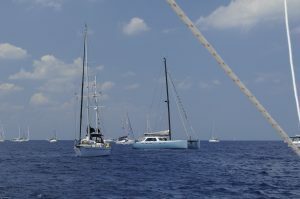 This reef in the Florida Keys is the 3rd largest coral reef in the world, surpassed by The Great Barrier Reef in Australia and Belize Barrier Reef. Unfortunately no good photos were captured of the varied coral and sea life we saw through glass bottom boat. 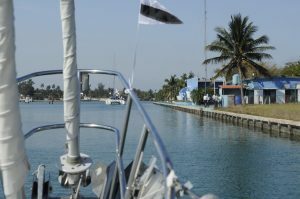 For those that don’t snorkel or dive, this is a great option to see things you can’t see many other places.